Seed Force’s new headquarters at Shepparton, Vic. 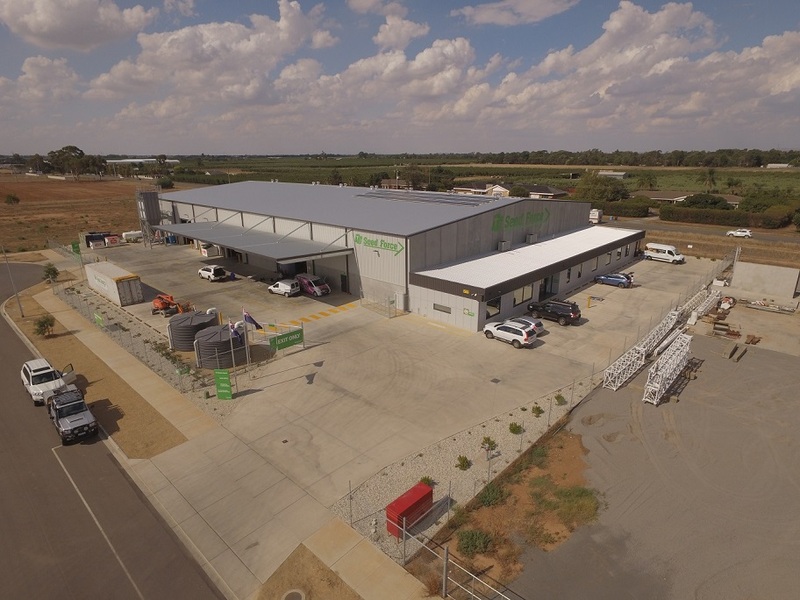 AUSTRALIAN seed company, Seed Force, has officially opened of a new, purpose-built national headquarters at Shepparton in Victoria. Chair, Warwick Green, said marking such a significant milestone in the company’s 13th year was particularly gratifying. “Shepparton was chosen as a good central hub and key transport route for the business to move seed efficiently around Australia,” he said. “When we started Seed Force, the catalyst was ownership changes within the Australasian seed industry. We saw a need to ensure that farmers here could access the best global genetics to continue to build on-farm profitability and performance. At the opening, more than 100 business partners, suppliers and staff took the opportunity to inspect the $4 million facility, which comprises offices, warehousing and seed manufacturing. Key shareholders and business partners from across Australia, New Zealand, France and the Netherlands were also in attendance. 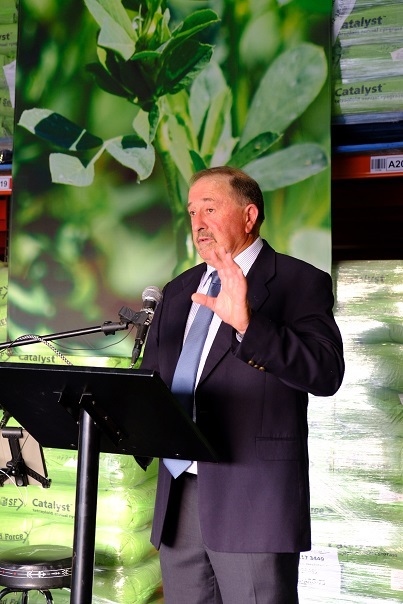 Seed Force managing director, Bruce Garrett, said it was pleasing to have so many long-term business supporters on-site to share the company’s success. “Our motivation for establishing this company has never changed; to make a difference to Australian farmers. However, without the support of all our customers, suppliers, staff and service providers, we don’t have a business,” he said. “We have invested heavily in expanding the capacity of our operation to ensure we can deliver to our customer’s expectations. 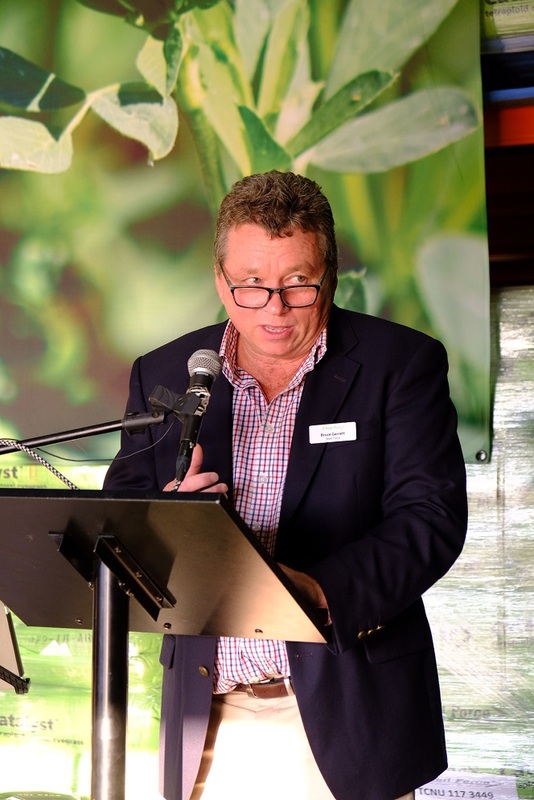 As a shareholder and key breeding partner, Samuel Gasté, new markets director for RAGT Semences in France, said he was honoured to be in Australia to celebrate with Seed Force. RAGT Semences are the breeder of RGT Planet, which Seed Force develops and markets for Australia.